Shana Saragawa come from fast growing trees; they have a mild flavour and taste similar to Okra. 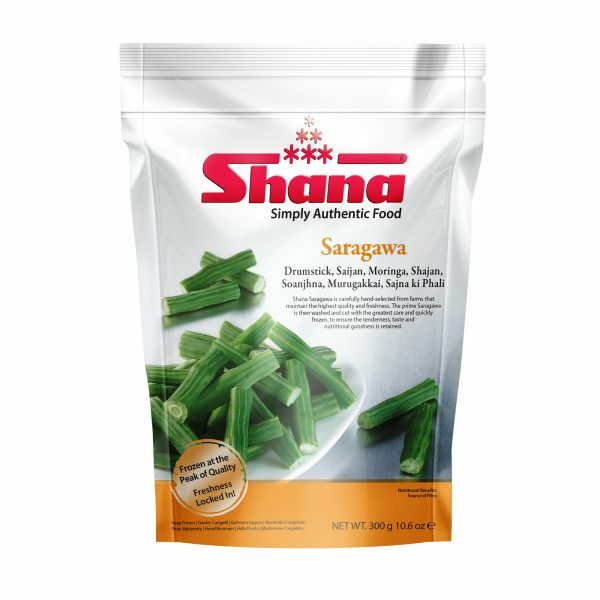 Shana Saragawa may be used immediately from frozen, making them a tidy and convenient way of enjoying the vegetable at its best. In a large bowl, mix yoghurt, water, besan flour, sugar, ginger, chilli and make a smooth paste. Season with salt to taste. Heat oil in a pan and fry mustard seeds until they pop. Add Asafoetida and sizzle for 5 seconds. Add the spicy yogurt mix and mix well before adding the Shana Saragawa. Cover and cook on medium heat until Saragawa are soft. Stir occasionally to ensure even mixing and cooking. Transfer to a plate and garnish with coriander. Hey Buddy!, I found this information for you: "Saragawa". 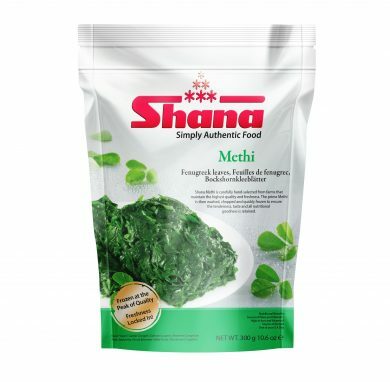 Here is the website link: http://www.shanafoods.com/product/saragawa/. Thank you.